Her Majesty’s Ambassador to the Dominican Republic, Chris Campbell, spoke about Brexit and Global Britain to various Dominican institutions. Ambassador Chris Campbell has certainly kept busy as he visited various Dominican institutions and universities to deliver speeches on Brexit and Global Britain. This comes at a moment of ever growing interest on Brexit and the opportunities it might bring to the Dominican Republic. Certainly, the UK wants to be a Global Britain – a true partner to the European Union but also a country that reaches beyond the borders of Europe and goes out, into the world, to build relationships with old friends and new allies alike. With this in mind, invitations poured into the Embassy to hear more about the topic. On 3 April 2017, Ambassador Campbell was interviewed for an hour on Dominican National Television (on Channel 4, which is a State Owned Channel and is highly viewed by Dominican Audiences). There he spoke about Brexit and future possibilities and opportunities between Dominican Republic and the UK. Likewise, on that same day, he gave a speech in FUNGLODE, a Dominican NGO and political think-tank. His speech was live-tweeted from the British Embassy’s Twitter account. 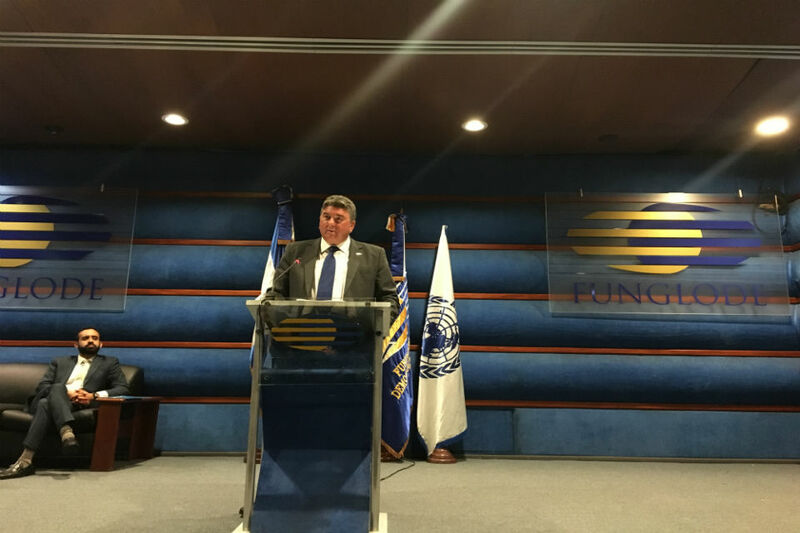 Ambassador Campbell highlighted Global Britain once again on 6 April, when he was invited as the keynote speaker for the International Business Week 2017 at Universidad Iberoamericana (UNIBE). 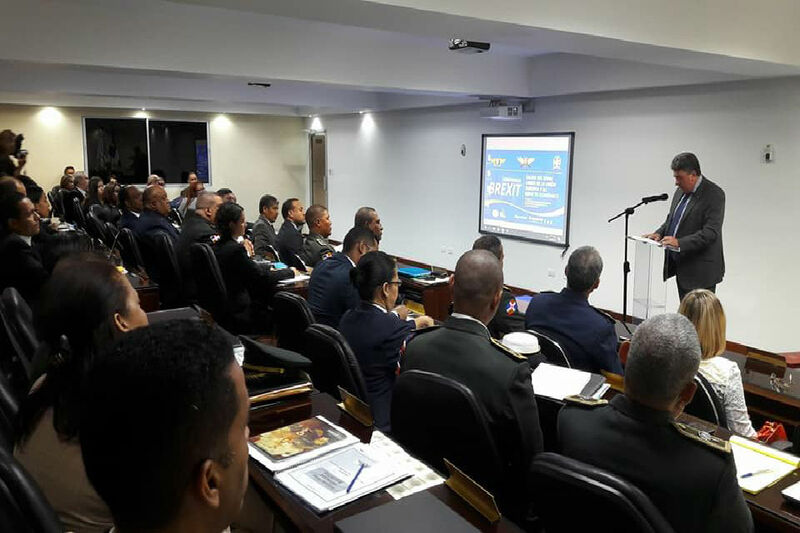 More than 100 people attended this event and it was widely reported on in the Dominican press. More recently, on 19 June, Ambassador Campbell visited the Universidad Pedro Henriquez Ureña (UNPHU). The event was extremely well attended by undergraduate and postgraduate students. There, he mentioned that the UK will continue to look at markets around the world, including Dominican Republic, where there is growth potential and it will want to make it as easy as possible to do business together. This prompted great interest and questions from the audience. 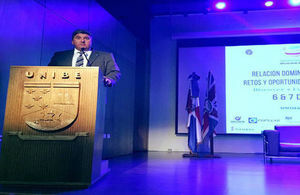 Finally, on 20 June, the Ambassador delivered a speech in the Dominican Ministry of Defence. There, the auditorium was at its full capacity. Once again, Ambassador Campbell spoke about Global Britain, the UK’s role as a world champion of trade and the promotion of UK values around the world. Ambassador Chris Campbell’s message was clear: United Kingdom wishes to emerge from Brexit stronger, fairer, more united and more outward looking than ever before, as a fully independent, sovereign country, and as the champion of free trade. To deliver that, it needs stronger commercial and political relations around the world with countries such as the Dominican Republic. This is a great opportunity to strengthen the existing bonds between both countries – it must not be wasted!